There are various styles of Yoga in modern society nowadays. 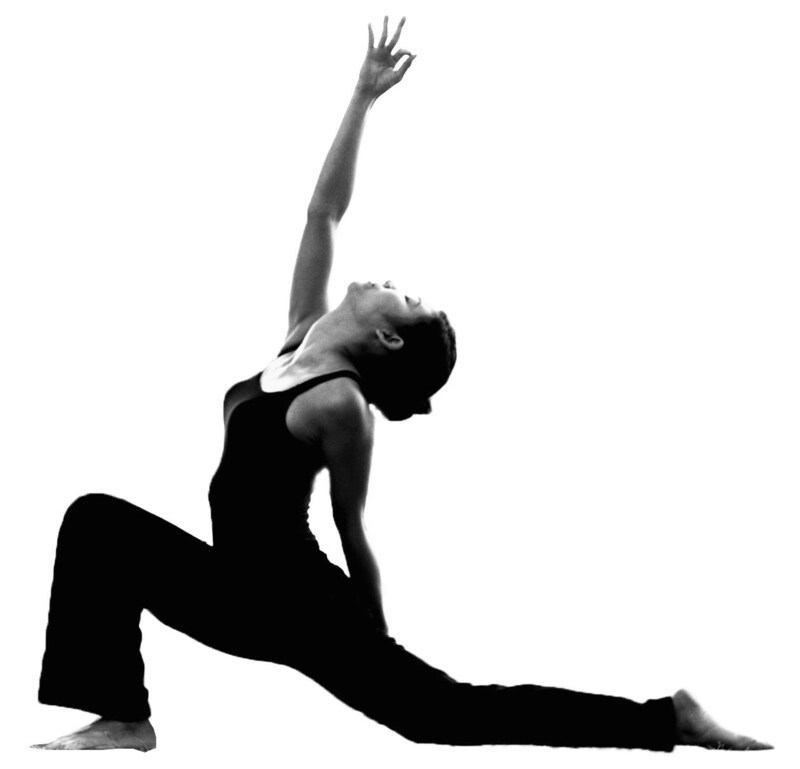 Asanas, the physical aspect of Yoga which are the posture practice are the most popular practice worldwide. However, there are many other subtle practices that are just as important, if not more powerful than just the Asanas. These will include Pranayama (breathing), Meditation, Chanting, Kriyas (cleansing practices), Bandhas (energetic locks), Mudras (hand gestures) and Pujas (offering ceremonies). Apart from Yoga, Energy Healing is also one of the disciplines that I find very powerful, healing and transformative. I have also been actively offering Counseling services to many individuals from various walks of life, from across the globe. It is indeed a great joy and deeply humbling for me to be able to assist, inspire and offer guidance others in discovering their true selves. As I help others heal and awaken their full potential, in the process I also heal myself and continue to grow as well. The following are some of the popular styles of Yoga and other disciplines that I personally study, practice and teach. May our paths meet one day as we share our experiences and learn together. All life forms are made of energy. Sometimes energy is also known as “life force energy”, ‘Prana’, ‘Chi’, or ‘Ki’. When our energies are tuned in to a harmonious frequency – hence the feeling of being peaceful and centred, this is when we are healthiest and happiest. When under stressed or ill, this is where Energy Healing could offer deep release and brings us back into a state of equilibrium. Energy Healing is a simple, natural and safe method of spiritual healing and self-improvement that everyone can benefit from. Many case studies have shown the positive, beneficial results in virtually every known illness and malady. It has also been proven to work in conjunction with all other medical or therapeutic techniques to relieve side effects and promote recovery. Just as we have a massage to release physical tension, the mind needs to calm down, plus emotions from the heart are also taken care of. Energy Healing is a form of detox as we clear repressed emotions, stressful thoughts and stagnant energies within us that often cause ailments and diseases. Suitable for everyone, especially caretakers, those suffering from ailments and facing life challenges, no experience required. Sometimes even though one may not feel much after a session, the body’s healing mechanism would have nevertheless kicked start and will continue to do so. Energy Healing could be regarded as a form of detox as we clear repressed emotions, stressful thoughts and stagnant energies within the body, mind and soul. Similar to an Energy and Sound Healing session, the facilitator will gently guide the receiver into a deeply relaxed state of meditation. Imagine your life story as a movie, with you as the director and the facilitator as the producer in the background offering support as needed; all that is revealed would be driven by your soul’s purpose and pure intentions to heal, gain understanding, resolve the issue at hand or simply let go of people/events/belief systems that does not serve you anymore. Over the years my personal practice has evolved much and it continues to do so, especially after sustaining various physical injuries that constantly challenge me to adapt accordingly through patience and humility. Fusing Yoga Therapy, Feldenkrais, dance, physical exercise, Cranial Sacral Therapy, Sound/Breath/Movement, breathing and meditation techniques, each session is uniquely tailored to fit the student’s needs and requirements. Regardless of your age and background, we will work together to discuss and design a personal programme that fulfill your requests and achieve your goals. The main purpose is to discover various tools that would be incorporated into your practice as part of a balanced, healthy lifestyle. As long as you have the intention to learn and help yourself, that is all that matters! No experience required, suitable for everyone. Learn Yogic techniques to relieve common ailments like back pain, weak joints, insomnia, headaches and so on. Using powerful principles of Iyengar Yoga as well as other forms of Yoga, the focus will be on proper breathing, proper posture and precise alignment for a safe, effective practice. These are highly therapeutic approaches to exercise, heal injuries, meditate and rebalance the whole body, mind and spirit. Come experience the deep peace and joy emanating from within after your practice. Your body, mind and spirit will thank you for it. All levels are welcome, and no prior experience required. However, please do inform the teacher if you have previous injuries or any specific medical conditions beforehand. Like all life forms, we are made of energy. Energies can be expressed through forms and the formless. Forms will be gross, physical attributes that we can move, see, touch, smell, taste and hear. Formless expressions will include thinking, feeling and sensing. These components come together to create our abundant world of being. Dynamic Meditations utilizes various techniques to help balance our entire systems – physically, mentally, emotionally, spiritually. It is a means to free our bodies of fatigue and pain, de-stress and clear our minds, open the heart and promote deep healing. More importantly, it is a great opportunity to release stagnant energies, emote expressions and feelings openly, not to mention to literally “get out of our heads” – to clear all the mental clutter inside us. Often it is all these repressed words, images, emotions, thoughts, feelings, energies that is the cause of all ailments and diseases. A great way to ‘get out of our heads’ and reconnect with our bodies – come breathe, move, dance, meditate, sing and express yourself freely. The focus will be to immerse ourselves in our own inner journeys through spontaneous movements and expressions. Come release all repressed words, images, emotions, thoughts, feelings, energies that is the cause of all ailments and diseases. Feel completely energized and calm as you drink deeply from the inner peace and deep relaxation afterwards. All that is required is to bring an open heart, an expansive mind and just enjoy the journey! Sage Patanjali’s treatise on Yoga consists of just 196 terse aphorisms compiled in the 5th century B.C. Yogacharya B.K.S. Iyengar, the Father of Iyengar Yoga has made it possible for ordinary human beings to experience the wisdom of the yoga sutras. He finds the meaning of the sutras by practical search and regular practice. 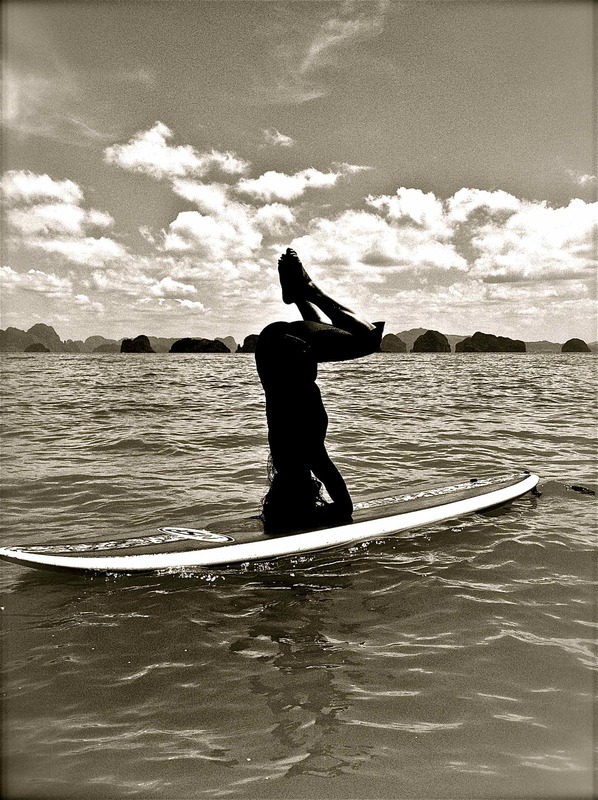 Iyengar Yoga has shown and taught how all the eight aspects of astanga yoga are integrated. His style of teaching yoga which is now being followed by certified teachers has been called as “Iyengar Yoga”. · it can be practiced by all. 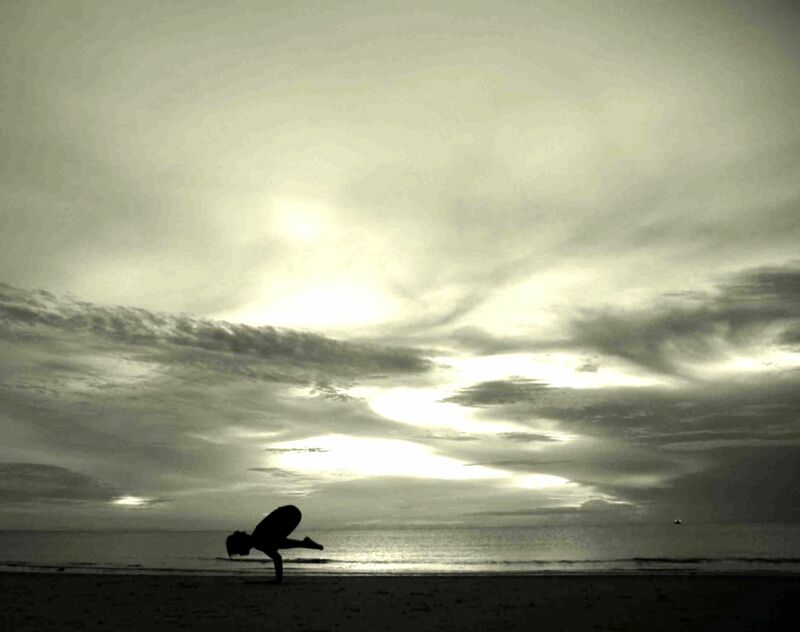 · The emphasis is given to precision, alignment and safety in all postures. · The use of self designed props such as wooden gadgets, belts, ropes helps the practitioner to achieve perfection in all the postures. · The aspect of “sequencing”. An “Iyengar Yoga” practitioner is aware of the sequence in which different groups of asanas have to be performed. Vinyasa Flow Yoga was derived from Ashtanga Yoga, whereby the set sequenced from the Ashtanga Yoga system has been ‘dissected’ to form a more freeform, creative approach. A typical Vinyasa Flow class will begin with the Sun Salutations and continue with a variety of poses through the flowing movements of Vinyasa (linking movements). Each pose will lead to the next like a continuous, dance until it ends. It is advisable to be somewhat familiar with some basic yoga poses before trying a Vinyasa Flow Yoga as the pace will be quite fast. Although not essential, basic Ashtanga Yoga experience will also be helpful. Most modern forms of yoga today are of ‘Yang’ nature, which emphasizes muscular movement through contraction and a repetitive rhythm. Most sports belong to this ‘Yang’ nature, including running, cycling, golf, swimming, aerobics etc., where a particular movement is continuously repeated. Yin Yoga emphasizes deep connective tissues like the bones, joints and ligaments through holding Asanas (postures) for longer periods of time (between three to ten minutes). It mainly targets the lower body like the pelvis, knees and lower spine. As a result, these usually difficult to exercise areas are given a deep stretch, flexibility is improved, muscles are allowed to rest for recovery, and concentration is focused to prepare the mind for meditation. Yin Yoga is a great way to compliment the more vigorous styles of Yang yoga, as well as other sports to help prepare the body for comfortable sitting during meditation. The most valuable lesson Yin Yoga teaches us is to be strong emotionally and mentally – to remain calm and present at whatever given moment. This is the practice of moving into stillness in every way: physically, mentally, emotionally, spiritually. This is a balancing practice that incorporates dynamic, energizing Yang postures which works the muscles in repetitive motions; then counteracting and neutralizing the body with quiet, meditative Yin postures that stretches the deep connective tissues in longer holds. Throughout the practice, the breath would be the main focus as to remain peaceful regardless of our external situation – a continual practice of meditation itself. Created by Swami Sivananda, it is a holistic approach to yoga that emphasizes Asanas (proper exercise), Pranayama (proper breathing), Shavasana (relaxation), proper diet (vegetarian diet), and Dhayana (positive thinking/meditation). It also integrates different paths of yoga: Bhakti Yoga (yoga of devotion or divine love), Karma Yoga (yoga of selfless actions), Jnana Yoga (yoga of knowledge or wisdom), Raja Yoga (the science of physical and mental control). The Sivananda style of Asanas are similar to other forms of Hatha Yoga, but it also consist of some of its own distinctive Asanas (postures). The pace is slower compared to more vigorous style like Ashtanga Yoga, and Vinyasa (linking movements) only happens during Surya Namaskar (Sun Salutations). It is recommended for those who wish to have an alternative, gentler practice, or as an addition to a vigorous practice. Kundalini yoga is called the yoga of awareness because its practitioners believe that it directly affects ones consciousness, develops intuition, increases self knowledge, and unleashes the unlimited creative potential that exists within every human being. Kundalini yoga is a highly developed spiritual set of techniques with an obscure and multicultural history which, according to Hindu tradition, relies upon a technique called shaktipat to attain enlightenment under the guidance of a spiritual master.Mainstream traditions propose that kundalini energy can be awakened and enlightenment attained by practicing a combination of yogic techniques—ideally following the guidance of a certified teacher—including the use of mantra, prana and breathing techniques, sadhana, asana practice, meditation, or purely through devotion and prayer. According to yogic philosophy, the kundalini is a spiritual energy or life force located at the base of the spine. It is conceptualized as a coiled up serpent (literally, ‘kundalini’ in Sanskrit is ‘that which is coiled.’ Sanskrit kund, “to burn”; kunda, “to coil or to spiral”). The focus is on breath awareness, using various Pranayama (breathwork) techniques to balance our entire bodily system. As a result, the mind quiets, emotions become peaceful that sets the tone for meditation. Although props such as cushions, blocks and towels will be used to help make sitting as comfortable as possible, students must be prepared to sit for long periods of time. Students are also advised to keep an open, positive mindset and expect whatever feelings or emotions that may arise during meditation. Once you managed to maintain a quiet mind and a calm heart, be prepared to enjoy the blissful inner calm within yourself. Anyone who is interested in self-inquiry, exploring inner reflection within themselves, inner peace, or self-healing should give meditation a try. Chanting either Mantras, mono syllabus or sounds is a very direct and powerful healing practice. Sounds carry powerful vibrations that can interact, repair and heal the subtle energies within our physical, mental, emotional and energy bodies. It ground us, promotes deep peace, de-stress our overactive minds, opens and heals our emotional wellbeing, among its many benefits. As long as you can make sounds, chanting is good for you, you don’t need to be a talented singer or musician to enjoy this practice. Like all Yogic practices,Yoga Nidra helps ease physical and mental tension induced by the pressures of everyday life, as well as in releasing emotional burdens, long standing fears, and destructive habits. The main objective is to surrender ourselves to deep release so that the body, mind and spirit can heal and balance itself. A session of Yoga Nidra (which may be as short as 10 minutes or less) may be equilivant to three days of good, deep sleep if someone has been sleep-deprived or is fatigued from restless sleep. Learn fast, effective and fun ways to give the whole body a complete workout within 20 minutes! Improve your cardiovascular health, strengthen muscles and challenge your mind with cardio moves combined with strengthening exercises. Session includes breathing exercises and assisted stretching to deeply relax the entire body. Please contact us for the SPECIAL deals and Bring A Friend Offer!